Belfast sinks bring together classic styling and good old fashioned charm, yet they fit well with contemporary and traditional kitchens alike. 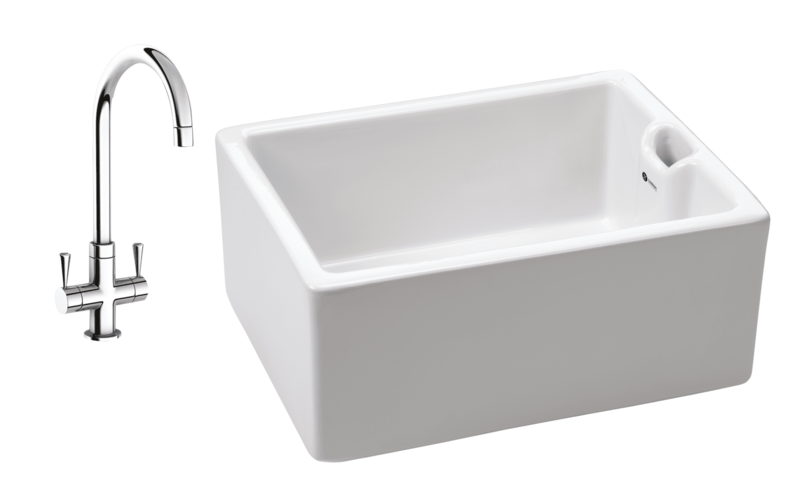 Our single bowl Belfast sink is available with a traditional weir and mini basket strainer waste. Shown with Henley Chrome Tap.